This unique itinerary takes you to the beautiful coast of California, where you can sample delicious red wines, famous street food, and see famous cities like San Francisco and San Diego. Holland America's Amsterdam is actually the third ship to have this name in the history of the cruise line. The Amsterdam is a mid-sized vessel with cabins for 1,380 guests and a crew of 647. With spacious dining areas and 12 decks to wander, the ship has an open feel, and guests never feel crowded. The first impression you'll have when boarding the ship is the towering three-story atrium with its amazing astrolabe, an ancient instrument for determining location at sea. While on board, you'll find many ways to pass the time between ports of call. Like other Holland America Line ships, the Amsterdam's focus is on the cultural experience of travel. So expect to be entertained and educated while you cruise. A partnership with America’s Test Kitchen allows guests to attend cooking shows and hands-on kitchen workshops. For those with other interests, there are exclusive BBC "Earth Experiences" presentations and excursions. The Amsterdam sails all over the world, from summertime cruises to Alaska to voyages around the South Pacific Islands in the winter months. If you are looking for something a little more extensive, Amsterdam also offers a 51-day "Tales of the South Pacific" cruise, a grand adventure around the Pacific Islands. Each elegant stateroom is furnished with a Mariner's Dream bed. Included are daily housekeeping, deluxe toiletries, plush robes, safes, free ice and fruit along with nightly turndown service. If you don't want to leave your room, you can also order 24-hour room service. Spacious inside staterooms have two lower beds convertible to a queen-size bed. These beds have plush Euro-top mattresses. The bathroom has a massage shower head. Ocean View Cabins have two twin beds convertible to a queen-size bed with Euro-Top mattress. Showers have a tub and massage shower head. Each cabin has a window or large porthole for ocean views. There is a sofa bed for extra guests. Size: 230 to 270 sq. ft. The Vista Suite has a small balcony with a lounge chair and cocktail table, accessible via floor-to-ceiling glass sliders. The ensuite bathroom has a tub and massage shower head. Some Vista Suites can accommodate a third guest in a sofa bed. Size: 196 - 240 sq. ft. The Lanai Ocean View cabins open onto the walk-around promenade deck via sliding glass doors. Two lower beds convert to a queen-sized bed with Euro-Top mattress. The private bath has a tub and massaging shower head. Size: 568 to 644 sq. ft. The spacious Neptune Suites feature floor-to-ceiling windows overlooking a private verandah, They have a large sitting area with a mini-bar and refrigerator, and two lower beds convertible to one king-size Mariner's Dream™ bed plus a separate dressing room. 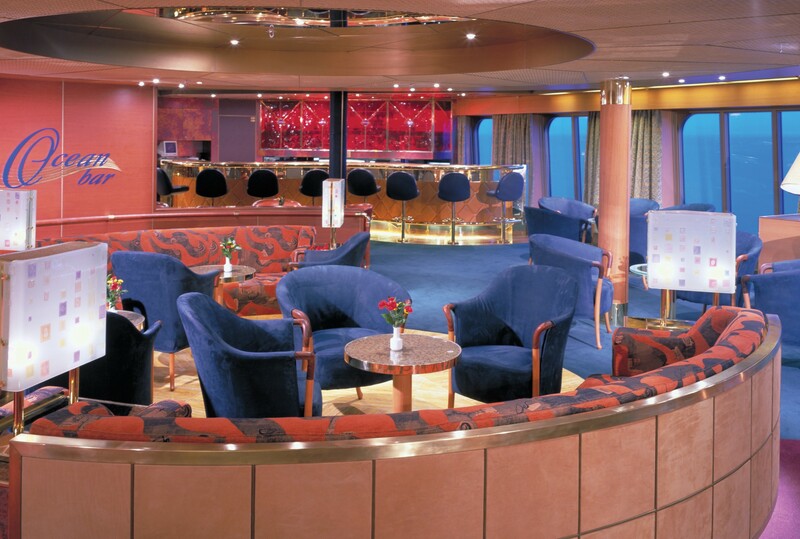 Guests have access to the exclusive Neptune Lounge. The largest suite on the Amsterdam is the Pinnacle Suite, which includes a living room, dining room, pantry with microwave, refrigerator and mini-bar, and floor-to-ceiling windows overlooking a private verandah. The bedroom features a king-size bed—our Signature Mariner's Dream™ bed with plush Euro-Top mattresses, plus a separate dressing room and second bath. Guests have access to the exclusive Neptune Lounge. Entertainment on board the Amsterdam includes music, cooking demonstrations, towel animal classes and Vegas-style revues. In the Queen's Lounge, you can catch show girls in brightly colored feather costumes singing and dancing to your favorite show tunes. Comedy shows and magicians also take the stage here in the evening hours. 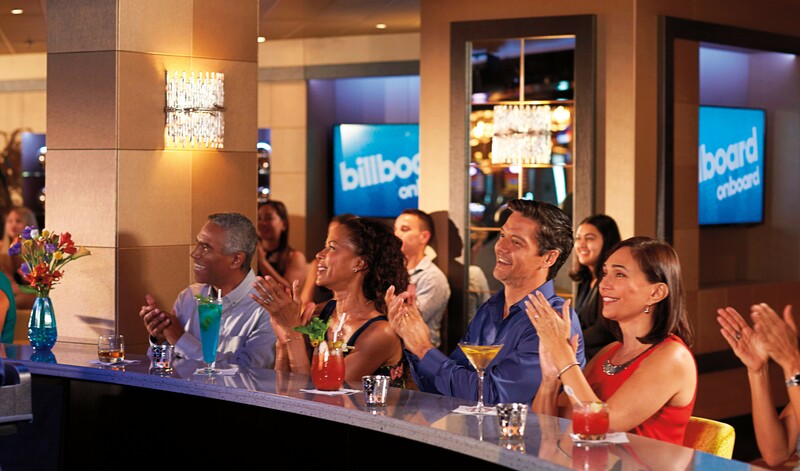 In the lounges and bars, the different styles of music and fun change often, so guests should check the daily schedule for show times. You might hear classical music in the Explorer's Lounge or a rousing sing-along in Rembrandt's. Don’t miss the tiny wine-tasting bar across from the Culinary Arts Center, open for limited hours. The favorite gathering place, both before and after dinner, is the Crow’s Nest. It has a panoramic view along with fun dance music. The Culinary Arts Center hosts demonstrations of all kinds, from drink-making demos to chocolate lovers’ seminars and lessons on how to make those towel animals. Cooking demonstrations are popular and feature world-renowned chefs, so schedule early to ensure a seat. Microsoft Digital Workshops are held each day, so you can learn how to download your photos and videos. 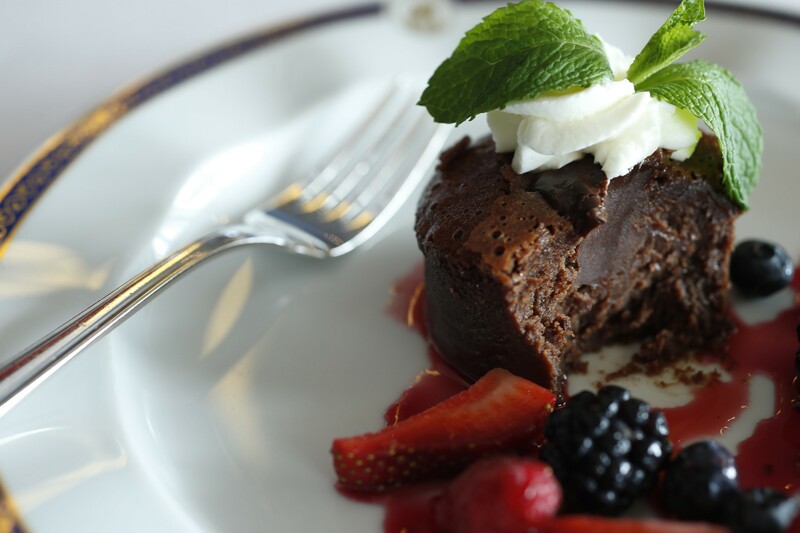 Holland America Line is dedicated to culinary excellence, and employs a Master Chef to be sure food is unforgettable in terms of flavor and presentation. The Master Chef runs a culinary council for the ships of the Holland America Line to provide quality control, insights and opinions on the food and dining service. Main Dining Room - La Fontaine is an elegant dining venue with a variety of menu options, including vegetarian and regionally inspired cuisine. Dinners can be ordered in five courses. The main dining rooms honor the “As You Wish Dining,” which means you can dine any time from 5:15 to 9 p.m., or you can choose a traditional dining time, either early seating at 5:45 p.m. or main seating at 8 p.m. Food in the main dining room is included in your fare. Lido Market - Buffet format open for breakfast, lunch and dinner. At breakfast, guests will find an omelet station, fresh orange juice, eggs and pancakes. Lunch includes international cuisine, and for dinner, the buffet serves the same menu items as the main dining room. There is no extra charge in the Lido Restaurant. Dive-In Grill - On the Lido Deck, you can find the snack foods you crave at the Dive-In Grill: hamburgers, pizza, sandwiches and hot dogs. Open for lunch. Afternoon Tea - Served on all Holland America ships, this is a tradition to enjoy with a variety of teas, cakes, biscuits and savory treats. Pinnacle Grill - Truly a pinnacle of dining experiences, this exclusive restaurant serves world-class cuisine on the finest china and crystal. A premier dining venue, the Pinnacle also has an extensive international wine list. Cost is $35 per person for dinner. Canaletto - Named after a famous Italian artist, this Italian-themed restaurant serves a variety of Italian and Mediterranean specialties. Three courses are served for $10 per person. Explorations Cafe - A coffee bar that serves lattes, cappuccinos and other espresso drinks. There is a small charge for these drinks, but pastries and mini-bagels with smoked slamon are free. The cafe is open from 8 a.m. to 10 p.m.